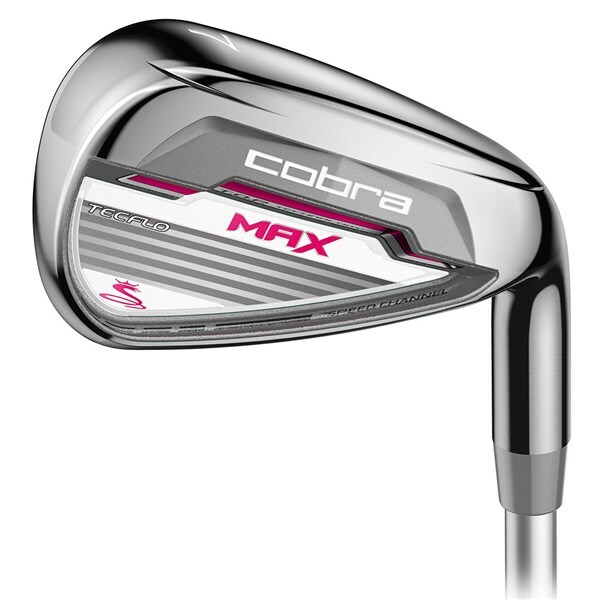 The Cobra Ladies Max irons offer a best possible combination of high launch, forgiveness, distance and accuracy control, all of which will make you a better iron player. 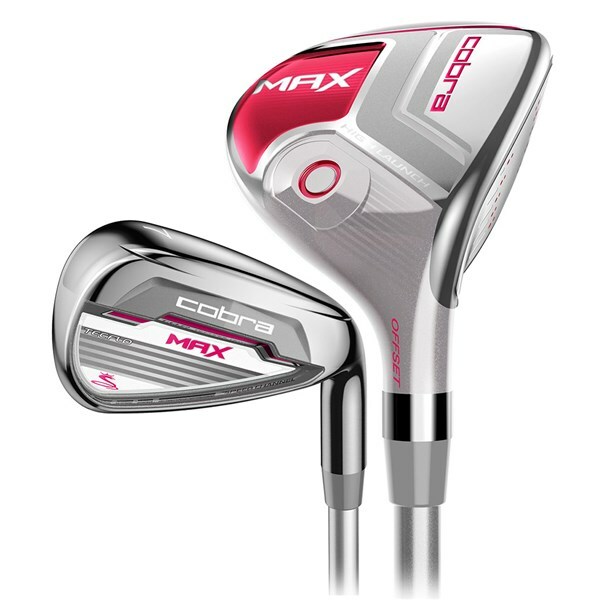 A progressive head design means that every area of your iron play will benefit from the technology Cobra have used in four different sections of irons. 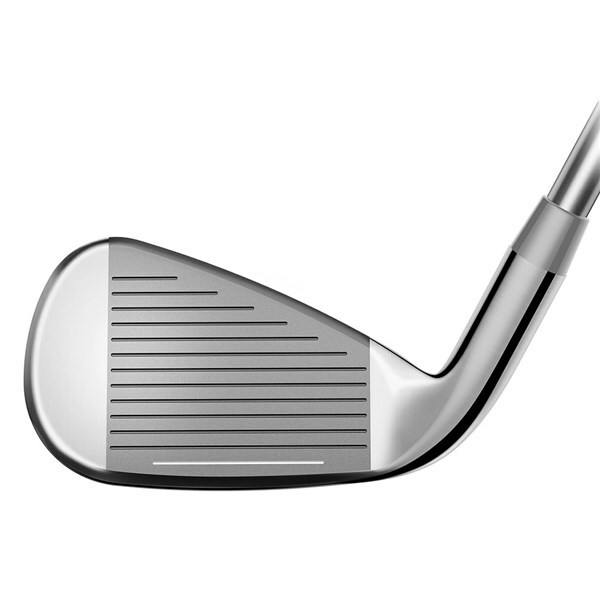 4H, 5H, 6H - Hybrids replace traditional long iron as they are easier to get airborne and offer greater long game versatility as they can be used from the tee, rough or fairway. 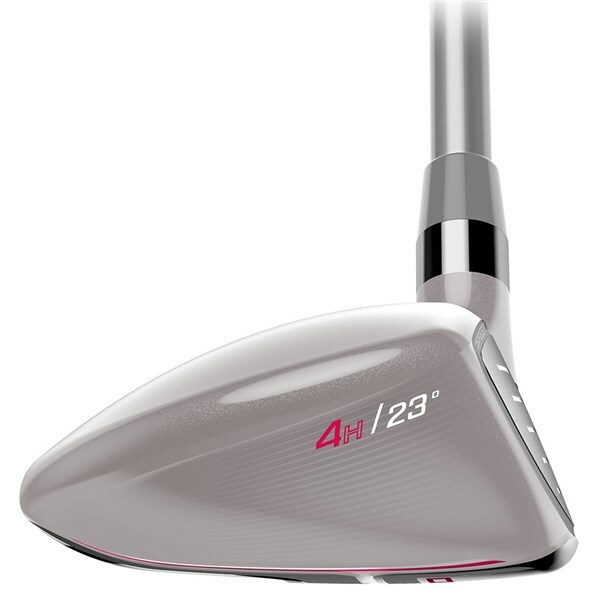 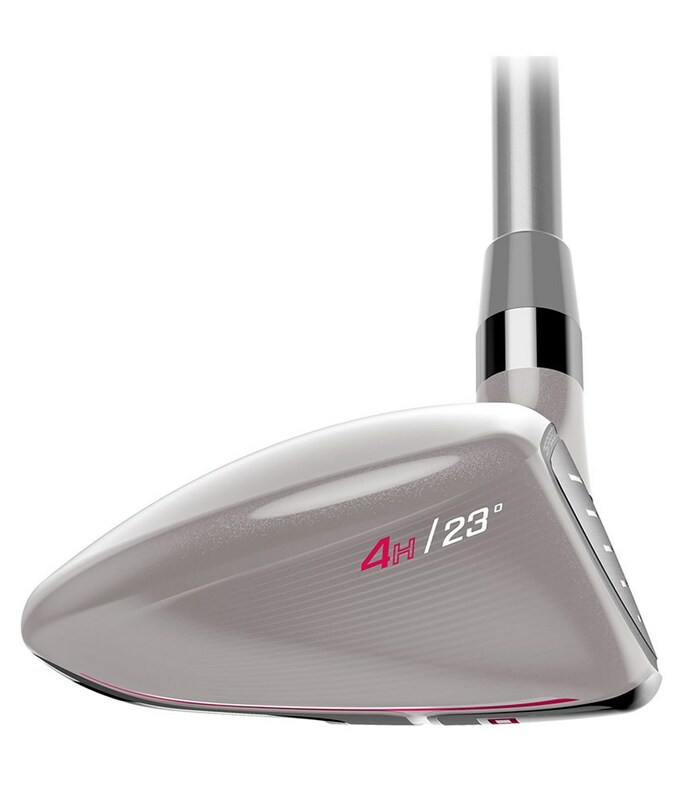 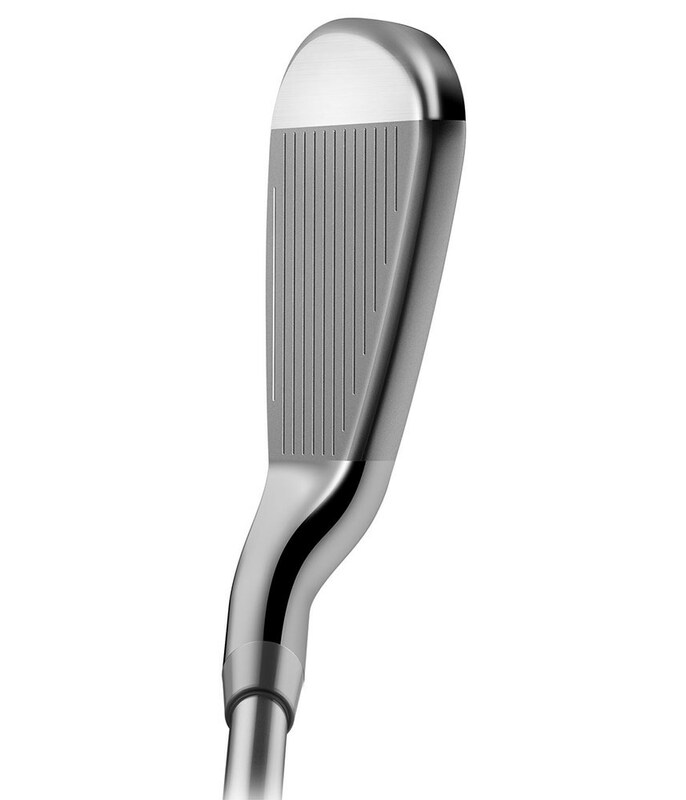 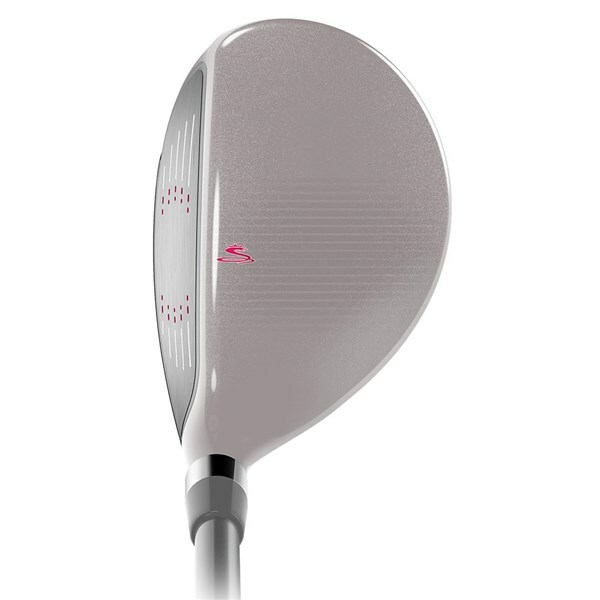 7I, 8I - Feature a dual cavity hollow head construction that maximises forgiveness and promotes a higher ball flight. 9I, PW - Has a deep cavity design that will help you gain the distance control and forgiveness needed to hit greens more consistently. 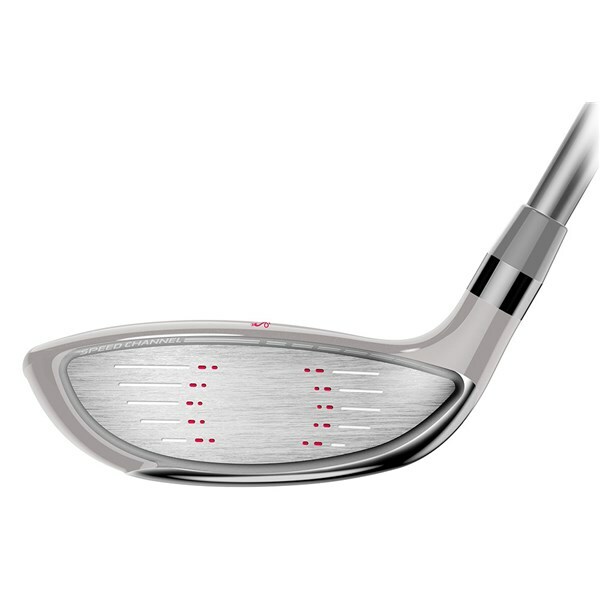 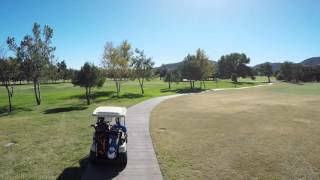 GW, SW - Has a traditional look that will enhance the overall performance and playability for better game control from around the green. 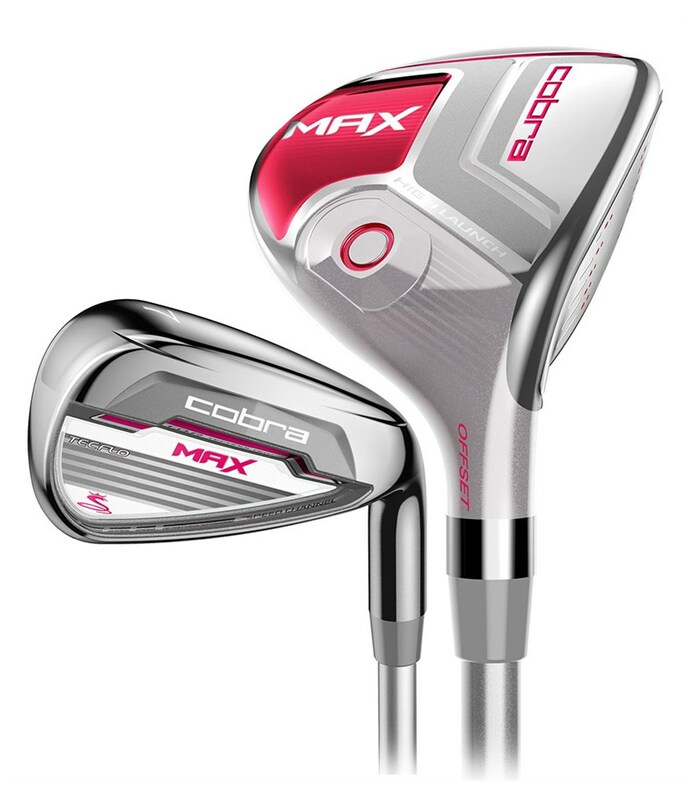 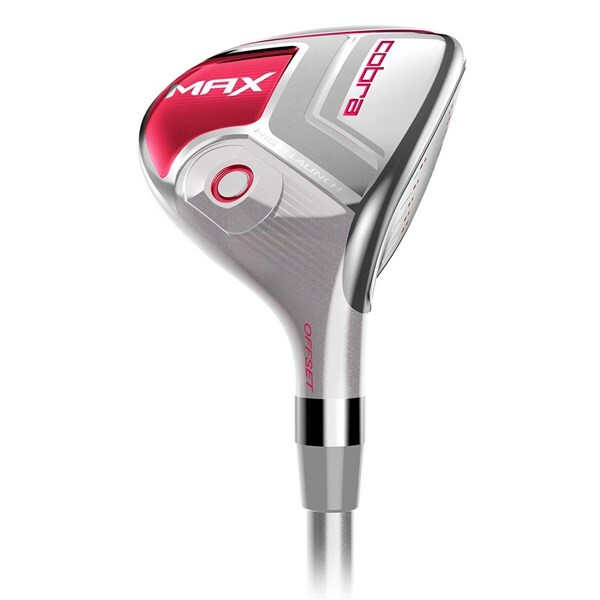 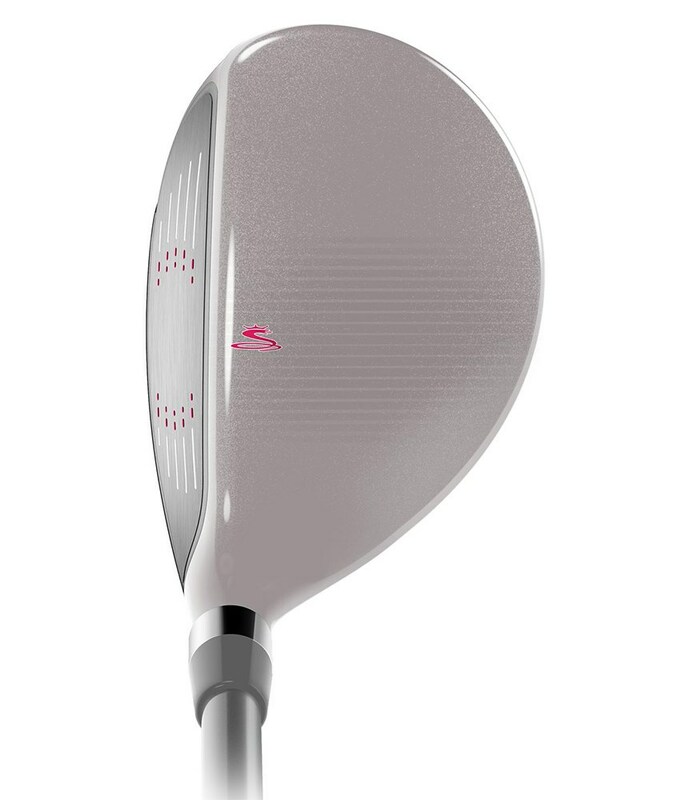 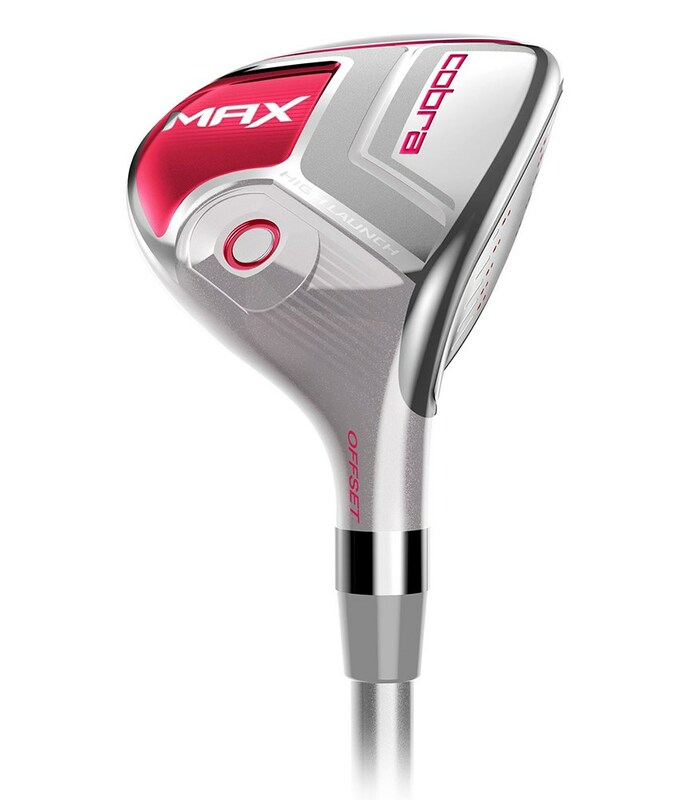 To help maximise distance and forgiveness Cobra have incorporated their Speed Channel Face technology. 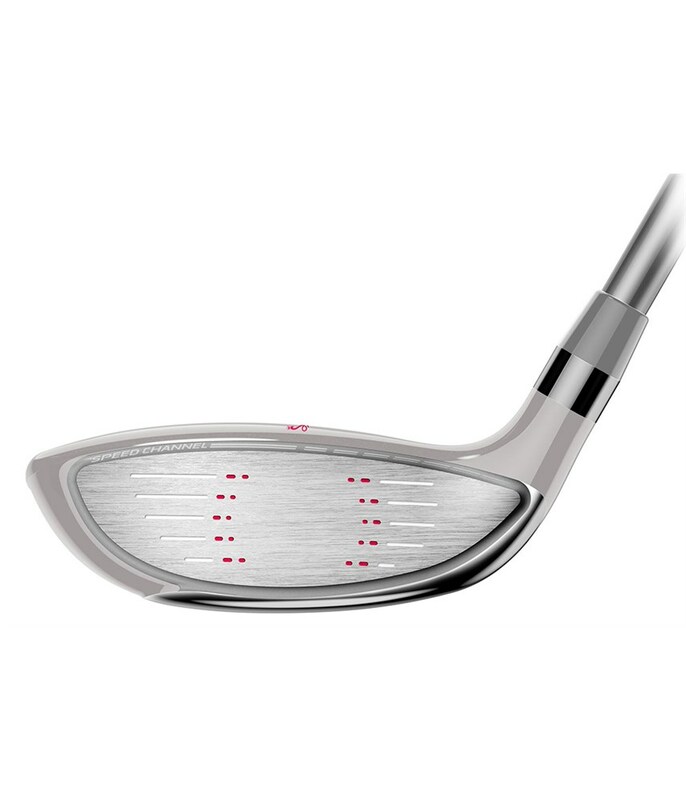 Speed Channel is a trench that surrounds the face of each club and helps minimise the thickness of the faces, this generates a faster ball speeds for more distance. 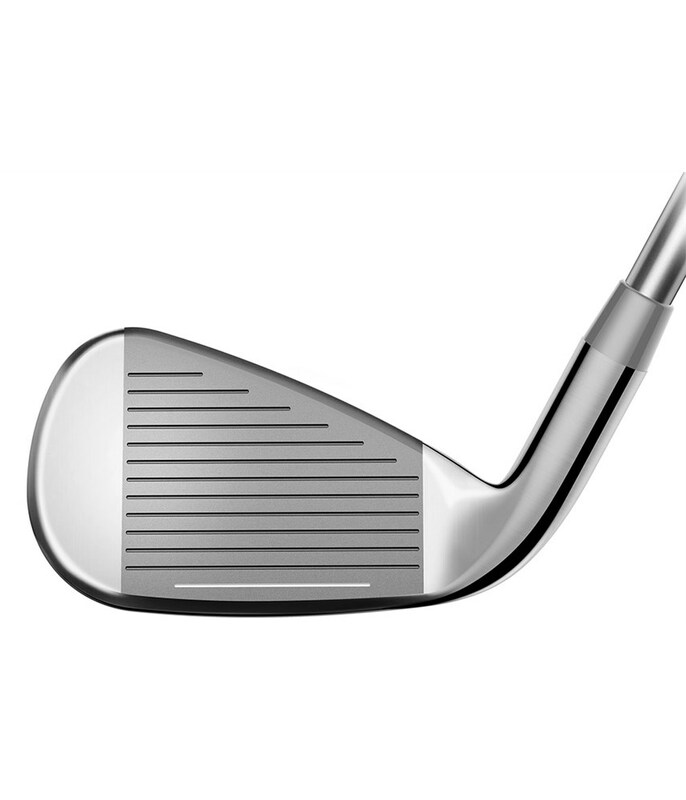 The Speed Channel Face also stretches the sweetspot of the face to promote extreme forgiveness. 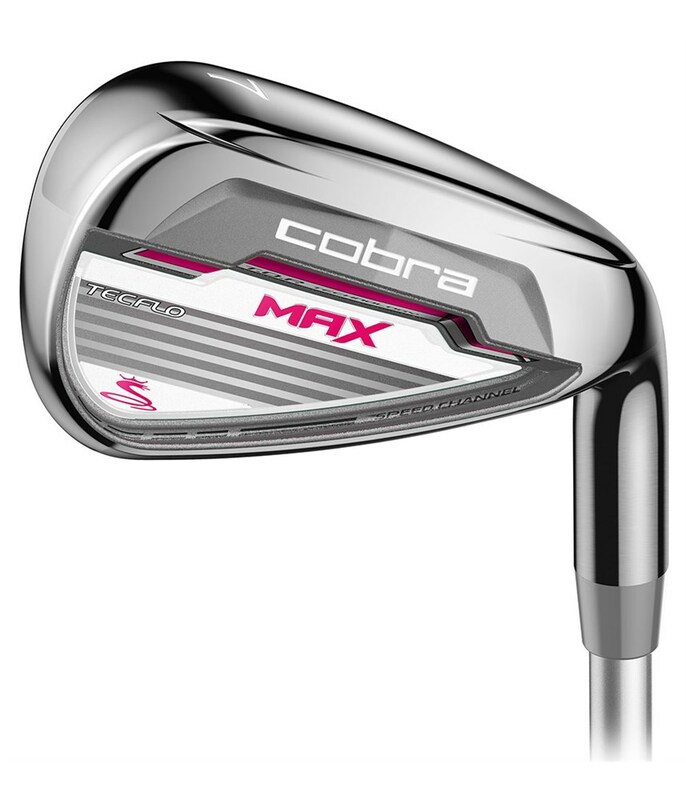 Cobra have used the lightweight Matrix White Tie graphite shaft in the Max combo set to ensure that getting the ball into the air is extremely easy whilst giving you the necessary control that will improve your long game.To finish off the premium look and feel of the Cobra Max irons they have been fitted with the Lamkin REL grip.